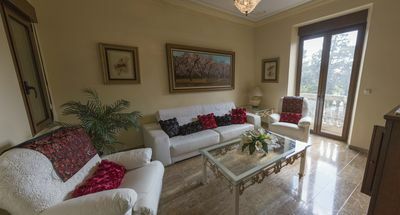 The apartment is a large and spacious penthouse apartment offering you a wonderful base for your holiday. 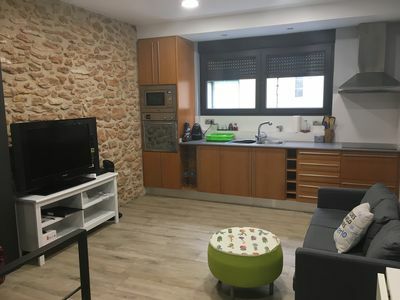 You will find on entering the apartment a large kitchen which is fully equipped for your stay with oven, hob and dishwasher and breakfast table with two bar chairs. There is a seperate utility room with washing machine and dryer. 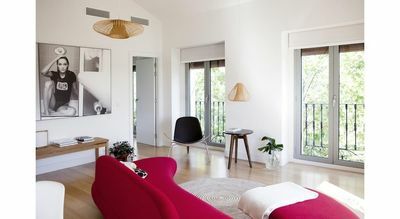 From the hallway you enter the Living room area which is large, light and spacious with a dining table for four people and a large sofa and comfortable chairs. There is a TV and dvd player and Apple TV for your use plus satellite TV for UK channels and Wifi is also included. 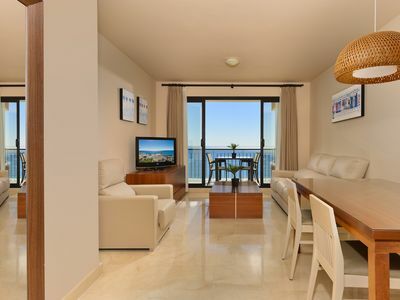 You will find large patio doors and windows to enjoy the spectular sea views from this room. The patio doors lead to the balcony area which has a table and chairs to enjoy al fresco dining and also to take in the lovely surroundings. On the entrance floor you will find a double bedroom with fitted wardrobes and a twin room also with fitted wardrobes. There is a family shower room and toilet. Stairs from the lounge lead up to a landing which gives access to the roof terrace and from here you really can appreciate the sea views as well as having plenty of space for soaking up the sun. 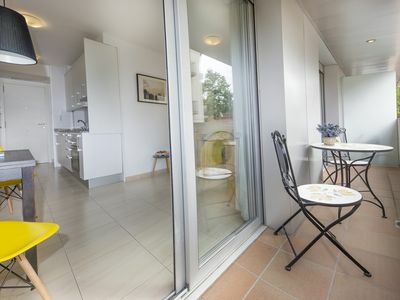 The terrace has sun loungers and dining furniture as well as an exercise bike for keeping fit. The master bedroom, also on the top floor has patio doors leading onto the terrace, plenty of wardrobe space and a lovely big en-suite shower room. Available with the apartment is a private garage parking space and lift access to the 3rd floor. Air conditioning is installed throughtout the apartment for your comfort and is operating through a coin meter, 1€ will give you 1.5 hours of heating or cooling. With your safety and security in mind, the house is fitted with a safe for your valuables and also smoke detectors and fire extinguisher are installed. 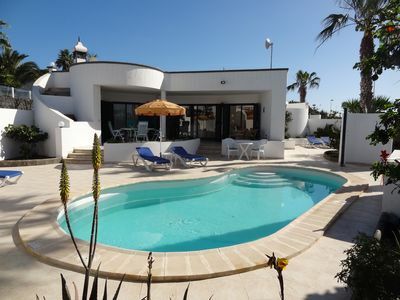 You will find a spacious swimming pool and gardens which are filled with mediterranean plants and palms. There is also a childrens play area and there is a community gymnasium for keeping fit. 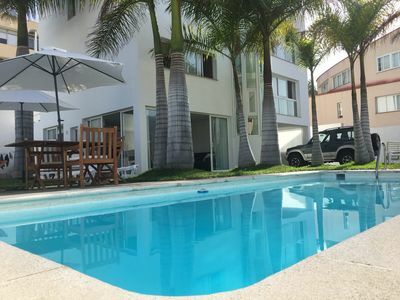 The grounds are secure and the apartment is located within a gated community. 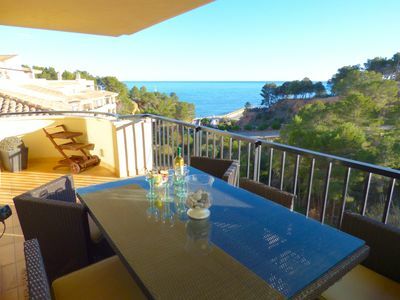 Within walking distance of the apartment you can explore the nearby beach and harbour. 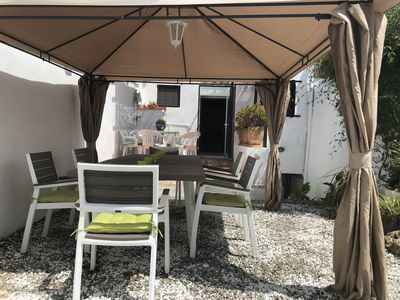 Altea town is a short drive away where you will find bars, shops and restaurants and a beautiful promenade as well as a picturesque old town with narrow cobbled streets lined with arts and craft shops, restaurants and art galleries. 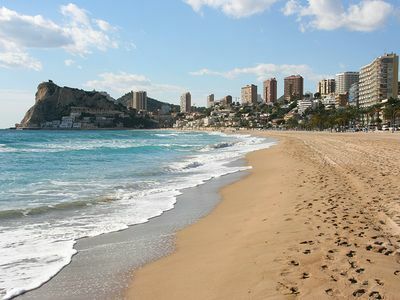 The working town of Calpe with its fishing industry and miles of golden sandy beaches are easily accessed within 10 minutes by car. Other nearby towns and beaches are also worth visiting. OPI Alfas S.L. 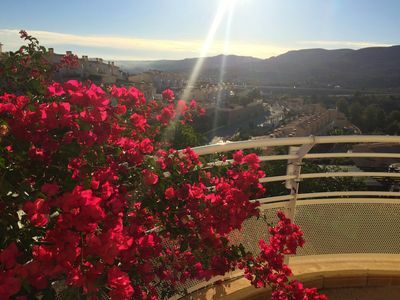 is a registered company in the province of Alicante, Spain, trading as PMR Property Management & Rental. 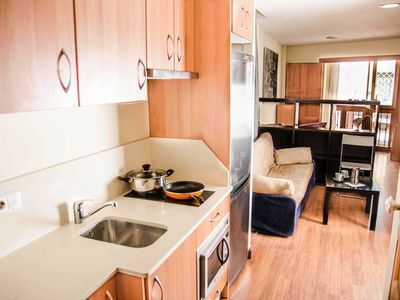 Your holiday reservation for your accommodation is a contract with the individual property owners who are represented as booking agents by OPI Alfas S.L. and who may also act as the managing agents. OPI Alfas are registered with the Tourism Authorities in the Valencian Community and have been allocated a registration number which is available upon request. 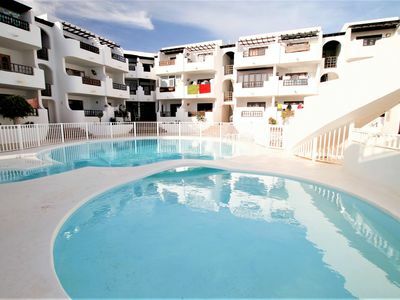 We also confirm that all properties advertised and rented by us have been registered with the relevant tourist authority for your peace of mind and as is required by Spanish Law. Licence numbers are advertised and can be requested. Bedding and towels are included for your stay at no additional cost. 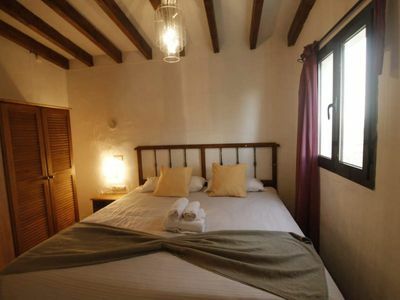 For stays of 14 days or more, we also include a mid stay clean and change of laundry. We also provide toilet paper in each bathroom however we do not provide soap. You must be aware that any damages to bedding or additional cleaning on your departure will be charged from your deposit. We are able to offer a range of additional services on request including airport transfers, car hire, bicycles, baby equipment, grocery packs, special occasion packs, private chef, excursions, trips and much more. To ensure availability please book these services in advance of your arrival. On the day of your arrival we will arrange for you to be met by a member of our staff who will hand over the property and keys to you and be able to answer any questions you have. Should you not require this service, you may collect keys to your property from our offices during our opening hours. Accommodation provided is for the use of the named clients only and may not be added to, sub-let or assigned in any way. 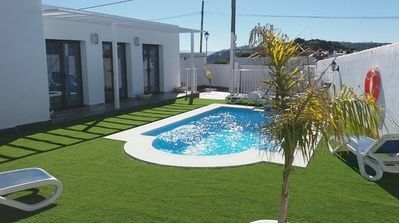 Prior to arrival we will require names and passport details of all guests over the age of 18 years who will be staying at the villa and this information will be given to the Police authorities as is required by Spanish Law. 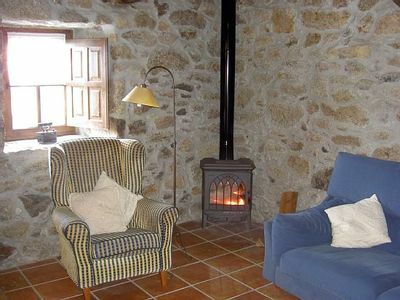 All accommodation is reserved on a self-catering basis and is available from 4pm on the day of arrival and must be vacated by 10am on the day of departure. 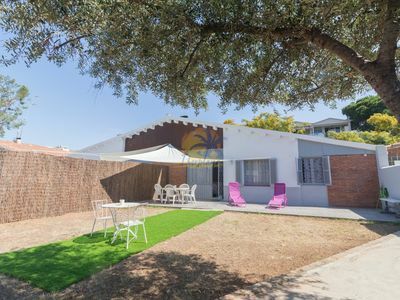 All self-catering accommodations on offer are privately owned villas, houses and apartments, which, are not identical, reflecting the preferences of the different owners. Complaints of whatever nature should be notified to the PMR office immediately in order that we can deal with them promptly and ensure satisfaction. We recommend that you take out holiday insurance immediately after reservation of a property including cancellation insurance cover that will normally compensate you if the reason for cancellation falls within the terms of the policy. We will require the name and policy number of your travel insurance before your arrival. 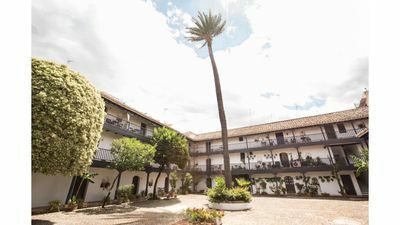 We reserve the right to switch a booking to accommodation of an equivalent standard should this prove necessary due to unforeseeable circumstances. 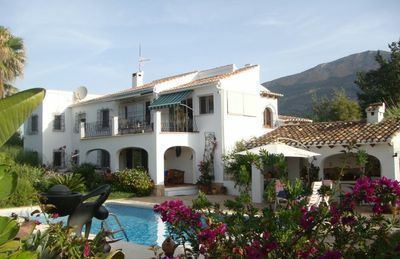 All prices include IVA at the Spanish rate. All data and files and all records held by us are confidential and therefore are protected by the Law. OPI Alfas SL is inscribed in the General Data Protection Registry with the registration code available upon request. You can exercise your right to oppose, access, modify and cancel your data through email sent to us or in writing to our office PMR, OPI Alfas SL, Calle Ferreria 16., Alfas del Pi (Alicante) Spain, as per the “Organic Law" of 13th December, Personal Data Protection approved by the Royal Decree. 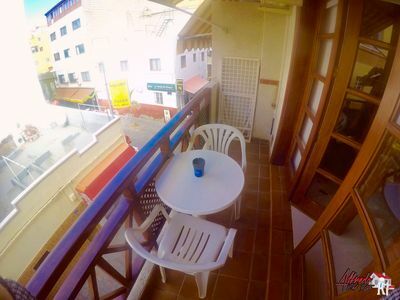 Apartment in Benidorm Location Excellent! The Nostre Racó. Ideal house for families.